How much is Si Robertson Worth? 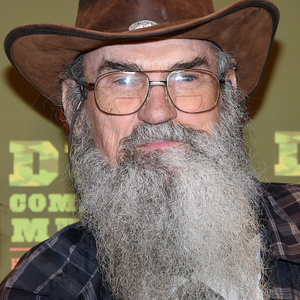 Si Robertson net worth: Si Robertson is an American duck hunter and reality television star who has a net worth of $8 million. 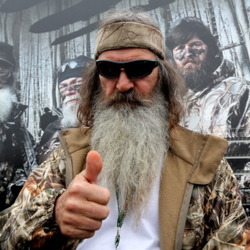 Si Robertson was one of the stars of A&E's hit reality television show "Duck Dynasty". Si is the younger brother of family patriarch Phil Robertson who was the original inventor and founder of the Duck Commander company. Si Robertson is an Army veteran who served in Vietnam. Robertson retired from the Army in 1993 and went to work full time for Duck Commander where he designs the reeds for all the duck calls. On Duck Dynasty, Si appeared with nephew Willie Robertson who is currently the CEO of Duck Commander as well as the entire extended Robertson family. The show was an immediate hit for A&E and often drew over 8 million viewers every episode. The third season finale was watched by more than 10 million people, beating out network rival American Idol by a long shot. Si Robertson released his memoir "Si-ology" in October 2013. The book received 500,000 pre-orders before hitting bookshelves and went on to become a massive success. Si has been married to his wife "Miss Christine" for more than 40 years. They have two children, a daughter named Trasa and a son named Scott. They also have eight grandchildren, all of whom are sons. The final episode of Duck Dynasty aired in March 2017. Robertson has also starred in and executive produced the spin-off reality TV series Going Si-Ral and starred in the reality series Buck Commander and The Duckmen of Louisiana. Robertson released his first album Me and My Smokin' Hot Honey in 2014. He also appeared in an episode of the TV series Last Man Standing and in the film Faith of Our Fathers. 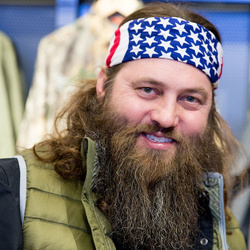 Robertson was nominated for a Teen Choice Award in 2013 for Choice TV: Male Reality/Variety Star for Duck Dynasty.